To help celebrate we take a look at exactly what's been going down on the flight back! Expect bubbles, smiles and selfies GALORE! 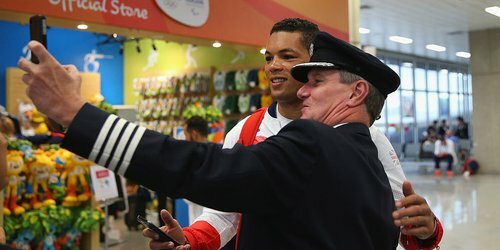 Joe Joyce of Great Britain takes a selfie with British Airways Captain Steve Hawkins. 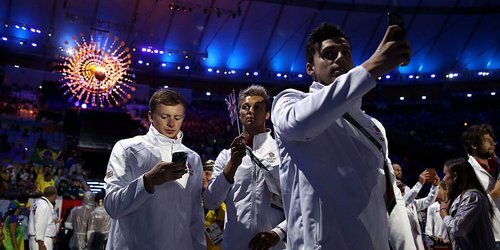 Meanwhile Adam Peaty and the GB Team were busy taking selfies at the Olympic Closing Ceremony in Rio. Well, who wouldn't want to commemorate that moment?! Hockey player Sophie Bray and her team mates pose with the pilot in the cockpit. Pete Reed, Helen Glover, Max Whitlock, Nicola Adams and Katie Archibald of Great Britain pose with their amazing medals! Meanwhile her fellow hockey player Lily Owsley does the honours by taking a selfie of her team.